The National Wood Flooring Association (NWFA) is releasing a formal definition of wood flooring to help consumers and professionals identify the difference between real wood and wood-look flooring products. “The level of growth in the sales and promotion of wood look-alike products, whether they be laminate, tile, plastic composite, or vinyl plank flooring, has created a need in the marketplace to tell the unique story of wood. 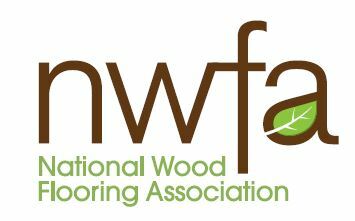 And that story has to start with a definition of what is, and more importantly, what is not wood flooring,” said Michael Martin, NWFA President & CEO. Wood is the hard fibrous material that forms from the main substance of the trunk or branches and beneath the bark of a tree. A wood floor is any flooring product that contains real wood as the top-most, wearable surface of the floor. Solid wood flooring is a solid piece of wood from top to bottom. Engineered wood flooring is real wood from top to bottom. Normally made using multiple wood veneers or slats of wood glued together at opposing directions. Composite engineered wood flooring contains real wood on the wearable surface only. The backing and core material may be made up of any type of composite material. Now that the definition of wood flooring is approved, the work of promoting the definition, and the wood flooring that falls under the definition, will begin. The NWFA and its members will launch a formal consumer awareness campaign in 2019. The National Wood Flooring Association is a not-for-profit trade organization, with more than 3,100 member companies worldwide, dedicated to educating consumers, architects, designers, specifiers and builders in the uses and benefits of wood flooring. NWFA members receive the best in educational training, benefits, technical resources, and networking, to advance their professionalism and success.